Two other human characters also unveiled. 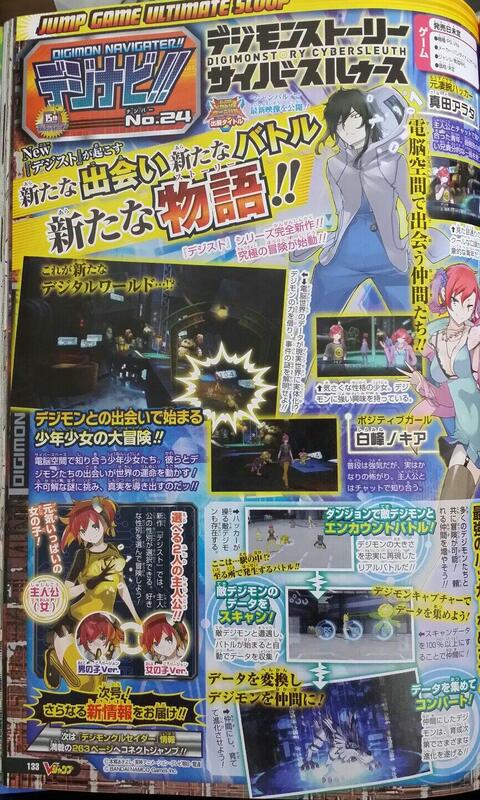 Digimon Story: Cyber Sleuth will have a female protagonist option in addition to the previously revealed male protagonist, this month’s V-Jump reveals. Nokia Shiramine – She’s a friendly person who tries to put on a tough exterior, but is actually easily scared. She also holds a deep fascination towards Digimon and meets the protagonist in a chatroom. Arata Sanada – A former big time hacker, he has a serious side, as well as a bit of a big brother personality. Like Nokia, he also meets the protagonist in a chat room. The game’s battle system, specifically regarding how you’ll recruit new Digimon, also received some slight detail. This is done by scanning Digimon as you encounter them out on the field. Specifics on how the scanning mechanic works are sparse, but the process is said to commence automatically at the start of battles, and that Digimon whose scan levels exceed 100 percent will join your side. Digimon Story: Cyber Sleuth is planned for release on PS Vita.